It's not every day that a Tamil film gets its world premiere at international festivals like the one in Rotterdam and Shanghai. 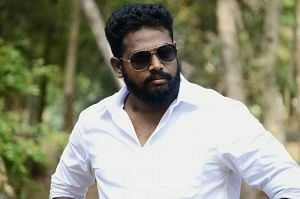 It happened for Peranbu and director Ram feels that the way festival films are consumed has changed. "I believe that in a few years, more films from our industry will make it to festivals, and that will help infuse confidence into filmmakers. In five years, Tamil cinema may rule the Indian film industry," says the director as we sit for a conversation, among piles of books in his office room. For the film, it creates an expectation, and as a filmmaker, it gives us the opportunity to meet our peers and critics to discuss films. We get to learn more about world cinema. There's also the self-assessment part and not to mention the joy of showing our film to an international audience. But that doesn't mean we have to tweak our content for these festivals. Moreover, there are specific standards for each festival, so we can't focus on tailoring a film accordingly. We can only make a film for our people, and if that's done right, it can be sent to festivals. The only change the festival version of Peranbu had was the usage of music instead of songs. I actually thought of Peranbu's story even before my first film (Kattradhu Thamizh in 2007). I felt that an actor like Mammootty sir would be perfect for the film as I've seen a lot of his work. In Thanga Meenkal, Padmapriya did a cameo, and while working with her, I told her to let sir know that I've got a story. She had previously worked with him in Kaazhcha and I had no idea on how else to reach him. Somehow the message got passed on and while I was busy with Taramani in 2015, I got a call from him. I went and narrated the story to him. He liked it and said he will do it. I wanted to start Peranbu right after I completed Taramani as I wanted to take it to festivals and I told both Mammootty sir and Thenappan sir (producer) that I needed a year for the festival run. They agreed and things went according to plan. It's been a decade since Mammootty did a Tamil film. Yes. I don't know what convinced him — perhaps the script or my previous work. He has 400 films and three National Awards under his belt, so he understands the purpose of a shot and also whether that particular scene will make the final cut. So, you can't cheat him. The effort he takes to understand a script and convert that understanding into a character is brilliant, even if he'd simply brush it off. Just like we use lens filters in the camera, he uses filters on his face that keep changing. My real concern was, I didn't know how to tone down his handsome looks. So, I told him to grow a beard (smiles). He'd joke that we should wrap up the film as soon as he felt he was seeing me in the mirror. When working with a new actor, we have to teach them acting too, but here, I just had to concentrate on direction. Thanks to him, I learned a lot, and he said we should team up for another film. Songs have been there since the Silappatikaram times. There's nothing wrong in having them. Moreover, songs lead to audio sales and they play it on the radio which leads to people knowing about the film. They play an important role in promotions. I may be doing films without an antagonist, but I do need certain elements to reach the audience. The people also know how to consume the songs in my film. Poetry helps in editing actually. Reading helps with metaphors. We get to understand truths that the world had kept us away from. It helps us think laterally too. As we aren't shooting every day, it keeps our minds active. Books give a glimpse of how an issue is tackled from the writers' perspective. One can also get an understanding of dialogues from reading. I'd have done it even if I hadn't become a director as I grew up in a time when that was the only entertainment. Yes, of course. I enjoyed a short story by writer Naren, so I would want to adapt that one day. There are lots of such stories. The Bridge on the River Kwai is another example. Eriyum Panikadu is a lovely story that was made as Paradesi by Bala sir. Solakar Thotti, for example, can be made into a film. But what's next for me can only be decided on how Peranbu is received.